On their first Enchanting Travels trip, it just had to be fireworks for Robert Swenson and Judd Grutman! 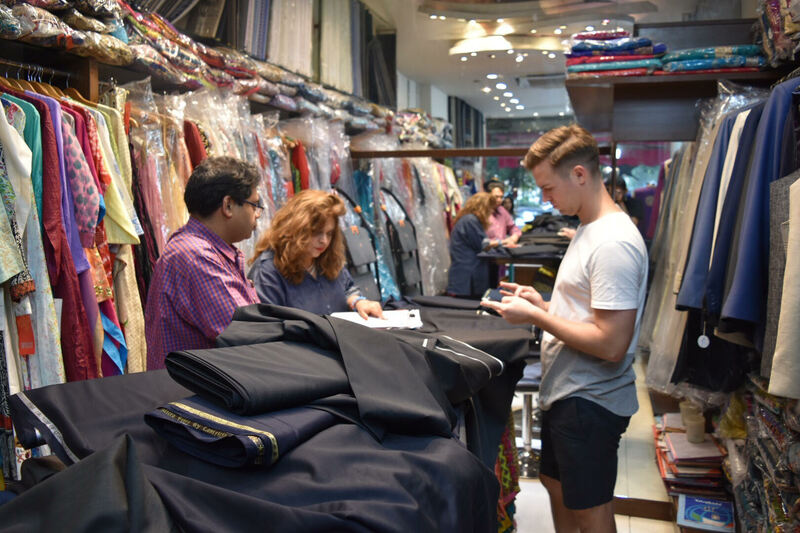 Visiting at the time of Diwali, one of India’s biggest festivals, our guests had an incredible introduction to this enchanting land, filled with sparkling streets, kingly celebrations and shopping extravaganzas. What did they enjoy most about their holiday in India? Read on to find out. Diwali is the Hindu festival of lights and it’s a magical time of year to visit India. 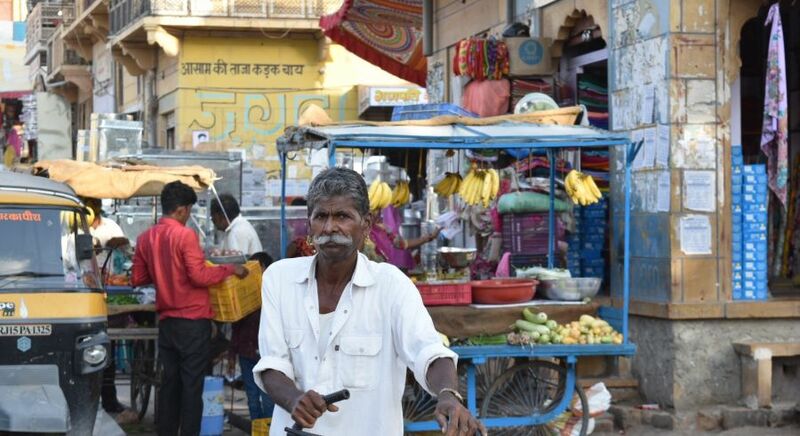 My partner and I recently returned from an epic road trip from to Delhi to Udaipur, during which we had the good fortune of celebrating Diwali and the holiday season that comes with it in Rajasthan. We can’t wait to go back to our favorite spots and explore other parts of India. Diwali marks the New Year for some, but the season has benefits for everyone. The first is that cities, homes, shops, temples and just about everything else are glowing. In anticipation of Diwali, families, friends and shopkeepers decorate and glorify their homes and businesses, assembling elaborate floral arrangements, bright lights, and neon streamers. The streets sparkle in the evening, and fireworks burst throughout the night of Diwali (and other nights depending on your location). 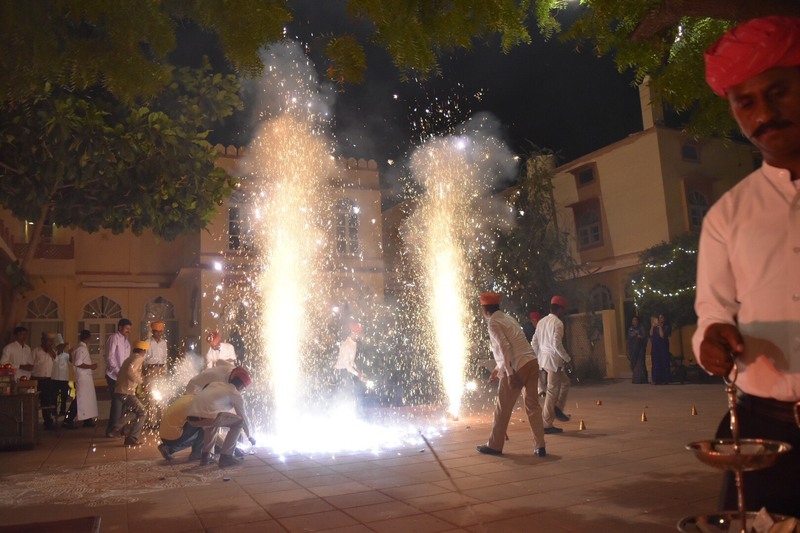 Our Diwali experience included a candlelit dinner and lots of festive sparks in Rohet with the Maharaja, his family, and nearby neighbors and store owners. It was a special occasion, indeed. merriment and shopped ‘till we dropped: handwoven rugs, cashmere shawls, camel bone jewelry boxes, ruby earrings and gemstone bracelets for our moms, lots and lots of suiting — always getting the “Diwali Discount” thanks to our expert guides. 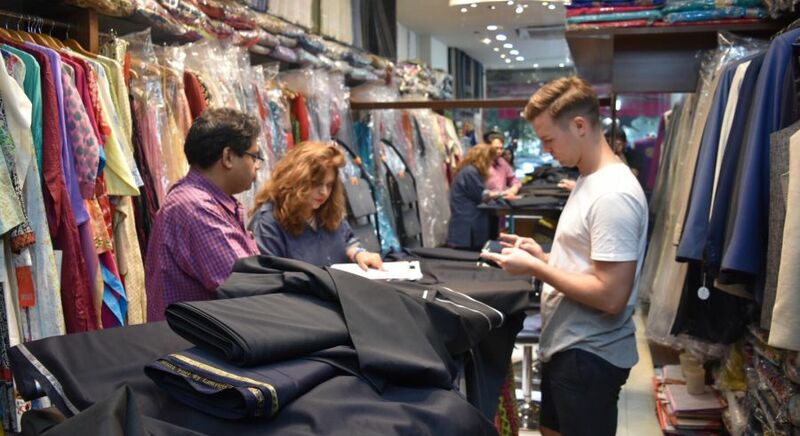 The shopping was a dance at times, but it was fun and friendly, and we shared memorable moments with proud tailors, artists, shopkeepers, and business owners, all of whom offered us tea and refreshments (or in one case, some extra strength pills for my stomach). We also brought back with us a Diwali gift to our neighbor in Brooklyn, who we discovered is a lifelong friend of Manu the owner of the unforgettable boutique hotel Killa Bhawan. 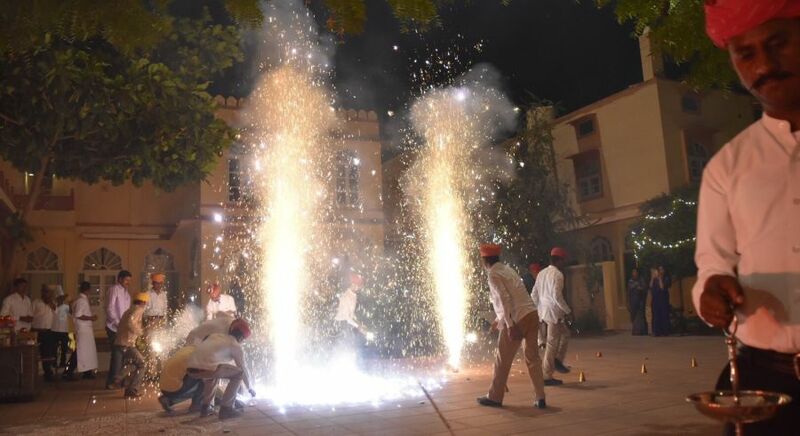 The general popularity of the festival is a third reason why Diwali is such a special time to visit Rajasthan. Schoolkids have vacation, local businesses are booming, markets are abuzz, and some revelers go on holiday themselves. Spirits run high and you can feel the excitement. Diwali provisions and traditions are bold and eye-catching, from decadently sweet mithai concessions to equally indulgent patchworks made of vintage wedding dresses. The festivities can extend for days beyond the actual night of Diwali, so there’s time to find hidden gems, take advantage of the holiday specials, and compare whether you favor your new textiles from Jodhpur or Jaipur. Diwali aside, we were treated like royalty throughout our journey. We stayed in repurposed mansions like Samode Haveli and Rohetgarh and toured impressive palaces that are now UNESCO World Heritage sites. 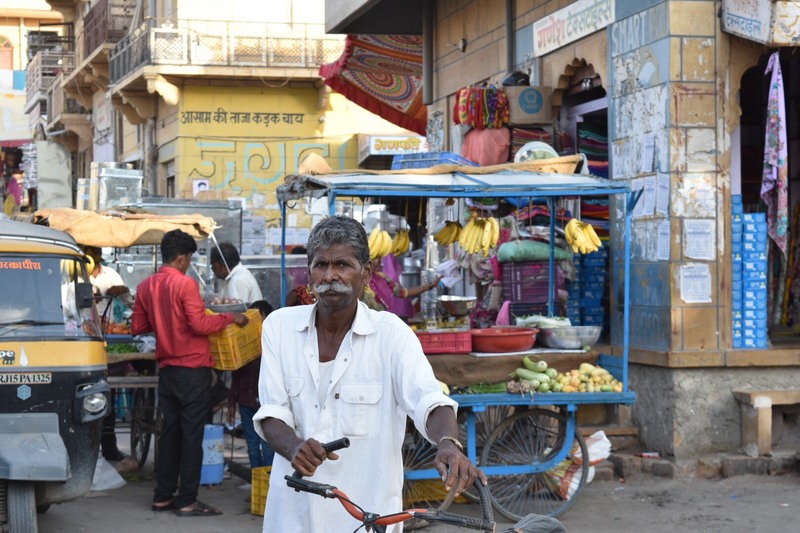 We ate like kings along the Swaroop Sagar in Udaipur and wondered in front of the Taj Mahal. We were welcomed in people’s homes, treated to the freshest chole bhature, and sipped banana lassis by the pool. We came to love Jaisalmer, lababdar, and Enchanting Travels. And we were amazed every day by the new and old treasures we were shown, the bustling bazaars, everyone’s endless hospitality, and the language of honking horns. There was so much to taste, feel, hear, and see, and we await our Diwali gifts and gifting and our next trip to India. To plan your own private and tailor-made tour of India, contact us today!